The case for using satellite offices is a strong one. Hearing healthcare providers, regardless of the type of setting they practice in or the populations they serve, can make use of multiple locations to reach more consumers, particularly in suburban or rural areas. Even if a physical space is secured easily, a major cost driver of a new office is the expense of setting up a soundproof booth and an audiometer. This alone can cost as much as $100K. SHOEBOX Audiometry can be the right solution for satellite offices by offering a low predictable annual cost, flexibility, portability and ease of use. For your satellite locations, what if there was a solution that offered a clinically-valid hearing test in a small, easily portable and inexpensive package? 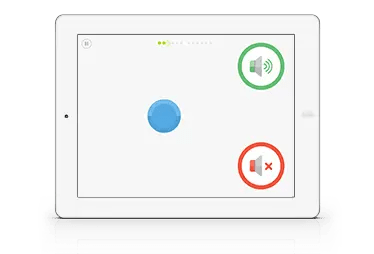 SHOEBOX Audiometry does just that, and it is so simple to use, hearing tests can be administered by staff who may never have performed one before. SHOEBOX Audiometry makes setting up satellite offices and growing your business easier. The system weighs just 4 pounds and is small enough to literally fit inside a shoebox. Entirely tablet-based, it is designed – and optimized – to work without the need for a soundproof booth. Starting as low as $1500 annually to lease, you’ll save tens of thousands on equipment costs, make the most of your valuable real estate, and generate revenue with less upfront investment. Hearing care practitioners can even expand their businesses to include home visits if desired. The SHOEBOX system tests patients wherever they are. Having a portable, easy testing system that can either be brought into the home or to a nearby satellite office can be a selling point particularly for elderly patients or those who are homebound. 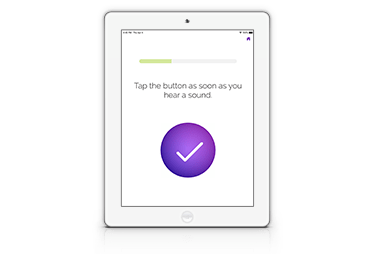 Easily detect changes in hearing that can affect your patients’ satisfaction with their hearing aids and monitor hearing losses for changes all without the need for expensive and cumbersome equipment. Getting started with SHOEBOX begins with device-specific training that will get you up and running in no time, regardless of experience level. 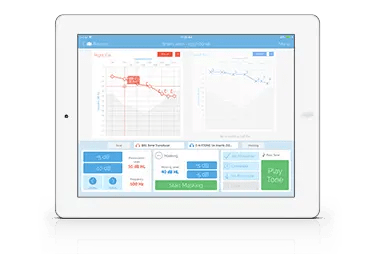 The technology in SHOEBOX Audiometry is intuitive enough that anyone who has been trained on the system can use it. The guidance doesn’t stop there. The SHOEBOX Audiometry team will support you and your staff from the initial implementation and as needed for as long as you use the system. They’ll even calibrate the system for you making outsourcing calibration a thing of the past. This training and services means you can use your staff efficiently. Audiology technicians and medical assistants can administer hearing tests, freeing your audiologists up to perform more complex diagnostic testing and focus on specialized patient care. The SHOEBOX system is a winner for your patients, too. 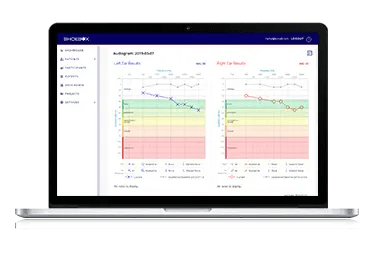 The interface is language-independent making it easy to administer accurate tests to a diverse patient population regardless of their language or cognitive ability. Patients are given instructions on the screen via an easy to understand video and the hearing test is a simple sorting task. Many patients will also appreciate the booth-free testing environment, particularly those who experience anxiety in closed spaces. And don’t forget, this testing is being brought close to them – either in the comfort of their own home or in a satellite office near it. Multiple office locations are a great way to serve more patients and build your business around your geographical region, and the easy, portable SHOEBOX system makes it easy – and affordable. If you are ready to add the system to your practice, all you need to do is contact SHOEBOX Audiometry. You’ll have your equipment in as little as 7 business days. Your initial training will consist of a 60-minute session, complementary of course, to get you and your staff started. Beyond that, help and additional support is always available with just a phone call or email. 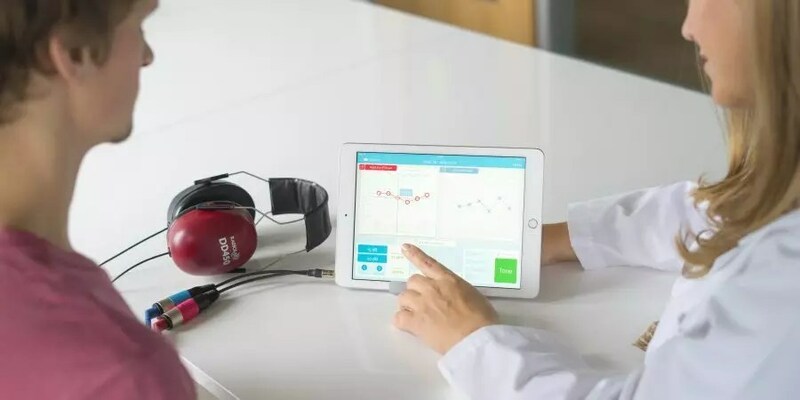 For simple questions, you can even contact SHOEBOX Audiometry via online chat. Contact SHOEBOX Audiometry today and find out how you can do more with less.